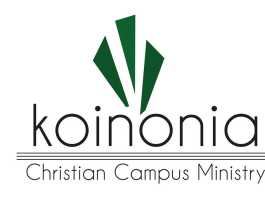 In July, 2018 Koinonia opened our first 2 housing units for students to rent and provide a Christian community. These are the first in what will eventually be 9 student houses and a 200 seat student center complete with coffee lounge and area to hang out with a loft. Each house is 1850 sq. ft and included 4 bedrooms and two bathrooms with an attached 2 car garage. They have gas heat and central air and included washer, dryer, refrigerator, dishwasher, range, microwave and many other amenities.